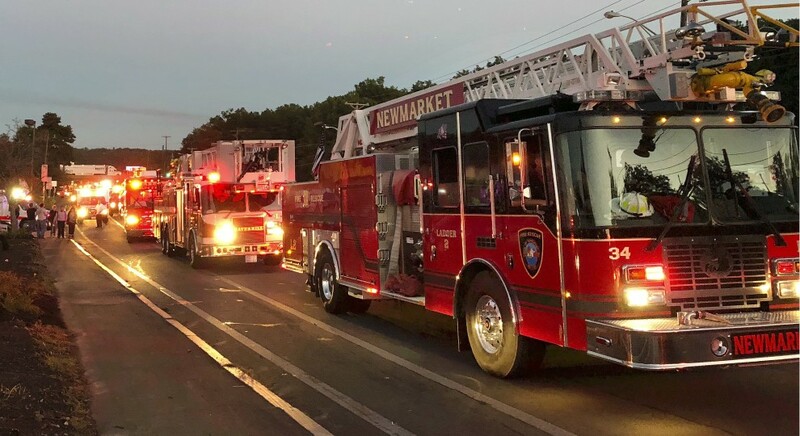 On September 13, 2018, an increase in gas pipeline pressure led to a series of explosions and fires in as many as 40 homes, with over 80 individual fires, in the towns of Lawrence, Andover, and North Andover. Residents were evacuated from their homes, and many were left with no home to return to at all. To show our support and reach out to the members of our community who were affected – The Social Responsibility Committee provided 3 unique ways for ADPI Employees to give back. We have been touched by the overwhelming support from around the office, and are humbled to be able to reach out and support those who are in the most need during this difficult time. Bake Sale = $308 raised! From donuts to protein cookies and everything in between – members of the National Resource group in Wakefield had a variety of sweet treats to sample during a two day bake sale event! Team members were asked to bring in something to share as part of the sale, or to leave a donation in exchange for a baked item. The money raised from the bake sale was donated to Lazarus House in Lawrence, MA, a shelter that provides food, shelter, and career training opportunities to those who are in need. Gift Card Donations = $220 raised! To help support local families and shelters obtain the necessary items they need, we collected donated gift cards for Target, Walmart, Market Basket, and Visa. The gift cards were donated to Lazarus House in Lawrence. Clothing, Food, Supplies, and Animal Food was collected for a week. The items raised were donated to Lazarus House, and the animal food was donated to the MSPCA at Nevins Farm – where they took in more than 100 displaced animals due to the tragic event. Thank you to everyone who contributed during these events! Each dollar raised and every item collected is being put to good use in helping our neighbors in Lawrence, Andover and North Andover as they begin to rebuild. Next National Dental Hygiene Month – Meet Terri Johnston!